90 % cotton, 10 % cashmere (yarn count Nm 50/2), fabric made in Portugal, garment made in Bulgaria. Comes in black-grey. Length 150 cm, width 50 cm. 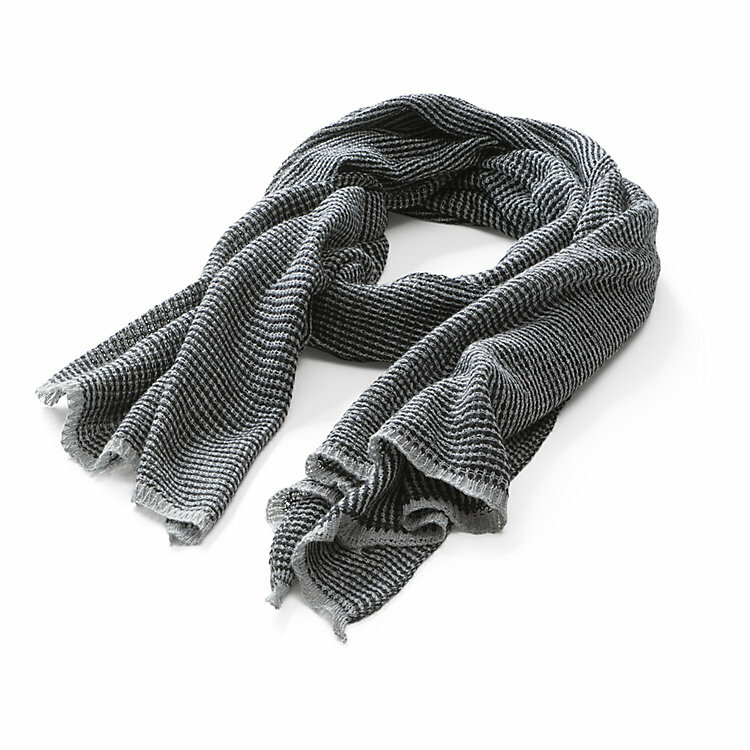 The scarf made of two-tone knitted cotton and cashmere fabric by the knitting specialists from Hannes Roether displays a fine geometric pattern.